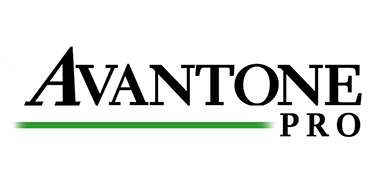 Avantone’s MixCubes are the industry standard for professional recording studios around the world and have since become the number one best selling speaker, of its kind, of all time. While originally inspired by the 5C sound cubes from years gone by, MixCubes have been customised with newly developed High Definition Audio in mind; to enable its users to listen to their end product and how it will sound when played back over small “bass-challenged” systems like TVs, car stereos, computers and iPod docking stations. While developing the MixCubes, Avatone realised the significance of changing an esteemed "industry-standard reference monitor". They began by reproducing its fundamental size, capabilities, and sonic character in a way that would deliver a high-resolution, full-range mini reference monitor to be used around the world. Whilst the majority of studios deploy 2-way and 3-way larger monitors, intended to represent a wide range reference viewpoint at higher listening levels, it is integral to mixing decisions that some credence be paid to listening to reference monitors that will not leave tonal anomalies instigated by crossovers or inferior full range drivers. These bigger speakers always pay particular attention to the critical mid-range areas associated with vocals, guitar and keyboards. So, the Avantone MixCubes’ voicing is built upon a foundation of ten months of research and development comparative listening and fine-tuning in this sound band, as this is where having a full-range monitor without a crossover is honest and informative. When likened to the initial 5C Sound Cubes the result is an exceptionally smooth sounding, full range improvement. The MixCubes have a smooth, more expansive, transparent top end response with extended bass while maintaining their basic original character – as proven by listening tests. 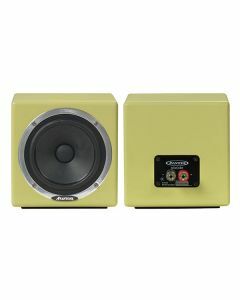 The Avantone MixCubes Mini Reference Monitors’ recommended power rating 50-200 watts of solid state power or 10-100 watts of tube power. The metal binding posts on the rear of the speaker can accept bare wire, spade lugs, or single or dual banana plugs. It is advisable to use 12 -16 AWG wire for runs longer than 6 feet as well as a high quality studio-grade power amplifier.